Just Say No to Office Sweets. I don't know about anyone else's, but our office is plagued with all sorts of diet demons: left over pastries from staff meetings, a candy dispenser in our conference room, more candy on the secretaries desk, vending machine down the hall, even that delicious hazelnut flavored coffee creamer that lurks in the kitchen. The other day, our receptionist literally walked up to me and handed me a brownie. How am I supposed to say no to that? It's like a constant mind battle to keep away from all the temptation - especially because chocolate is a personal weakness of mine.But it's not only the unhealthy foods you have to watch out for. I kept a bag of almonds at my desk because I thought I was being so diet savvy. Turns out, I sat there and mindlessly munched on those almonds for four hours straight while I worked away on my laptop, unknowingly consuming almost 1,000 calories. Just on almonds. So yes, while those are healthy calories, they are calories nonetheless. I needed some tasty, low calorie snack options I didn't have to pre-prepare, so I explored Whole Foods to see what I could find.. Here are a few suggestions for healthy, paleo-friendly snacks you can get at your local Whole Foods or similar organic store. I tried a couple of their other products (they make some "cookies" that are not as tasty") and this was by far my favorite. I do love Go Raw products, because they have very few ingredients, all of which are paleo-friendly. Watch out for the granola, though, as it is high in calories and carbs (but still healthy). A good replacement for those high calorie, preservative filled options that never taste as good as they look. Each bar has only 120 calories and 15 carbs (6 of which are fiber). Compare this to the Starbuck's banana loaf, which packs 490 calories and 75g (whaaaat?) of carbs. One word: yummm. Two cookies = 130 calories, so they are a great afternoon snack when you are craving a little sweetness. And, they are 100% paleo friendly and all natural. They taste amazing..it doesn't feel like you are compensating for any flavor at all. The only problem is stopping after only 2 cookies. If you are craving more of a chocolate chip cookie, throw in some carob chips for a satisfying alternative. Ingredients: Unsweetened Coconut, Honey & Egg Whites, No Synthetic Color, No Artificial Flavor And No Chemical Preservatives. These come in a variety of flavors, ranging from beet to carrot to sweet potato. My personal favorite: spice sweet potato, which has cilantro and spices for an extra kick. For a sweeter variety, try the "candied" version, which adds brown sugar for a little dash of sweet soul food flavoring. The chips are really bold and satisfying, just be sure not to keep the bag on your desk because you risk eating it all at once. Ingredients (for plain sweet potato chips): Sweet potato, canola oil and/or safflower oil and/or sunflower oil. Brad, you sneaky genius, you have somehow managed to flavor vegetables into something that tastes alot like cheese and wheat. The crackers are very thin, so don't feel that substantial, but are a nice thing to munch on if you want to beat some cravings. INGREDIENTS: BUCKWHEAT, FLAX SEEDS, CARROTS, OLIVE OIL, RED BELL PEPPER, NUTRITIONAL YEAST, SALT, ONION,GARLIC, CAYENNE PEPPER. Ridiculously good, and only 70 calories!! 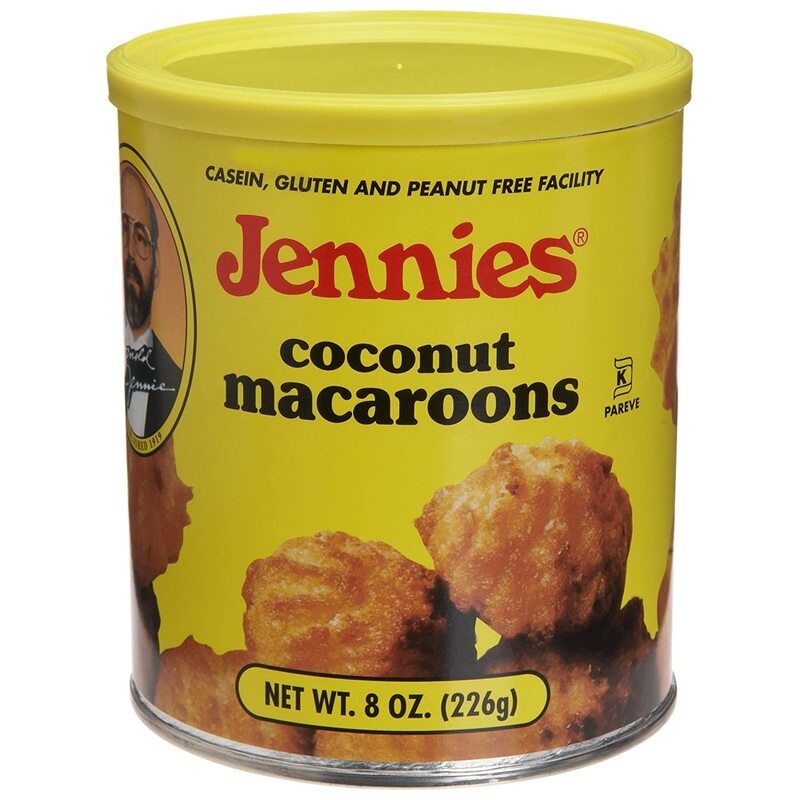 The combination of chocolate and coconut give these a nutty flavor, and the texture is smooth and delicious. Ofcourse, nothing beats the real deal when it comes to brownies, but this wins in my book as a close competitor, with a significantly lower calorie count (typical brownies range from 150-400 calories a piece).